Listen to "West by West: My Charmed, Tormented Life" on your iOS and Android device. He is one of basketball's towering figures: "Mr. Clutch," who mesmerized his opponents and fans. The coach who began the Lakers' resurgence in the 1970s. The general manager who helped bring "Showtime" to Los Angeles, creating a championship-winning force that continues to this day. Now, for the first time, the legendary Jerry West tells his story-from his tough childhood in West Virginia, to his unbelievable college success at West Virginia University, his 40-year career with the Los Angeles Lakers, and his relationships with NBA legends like Bill Russell, Wilt Chamberlain, Kareem Abdul-Jabbar, Magic Johnson, Shaquille O'Neal, and Kobe Bryant. 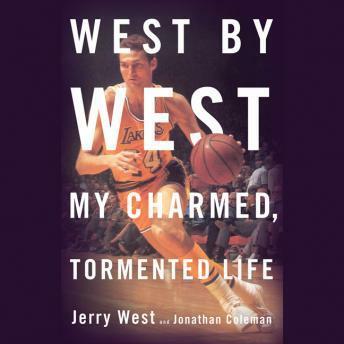 Unsparing in its self-assessment and honesty, WEST BY WEST is far more than a sports memoir: it is a profound confession and a magnificent inspiration.